This one isn’t strictly part of Challenge 52 but it will come in useful for the next challenge. Be sure to check back in later this week to read more about my attempt at eton mess made with this delicious homemade strawberry jam. First things first, I’ve used concentrated lemon juice each time I have made jam. When a recipe calls for the juice of 1 lemon, this can be replaced with 2 tbsp of lemon concentrate. So for this recipe you need 1/2 tbsp lemon concentrate or the juice of a 1/4 of a lemon, whichever is easiest for you. 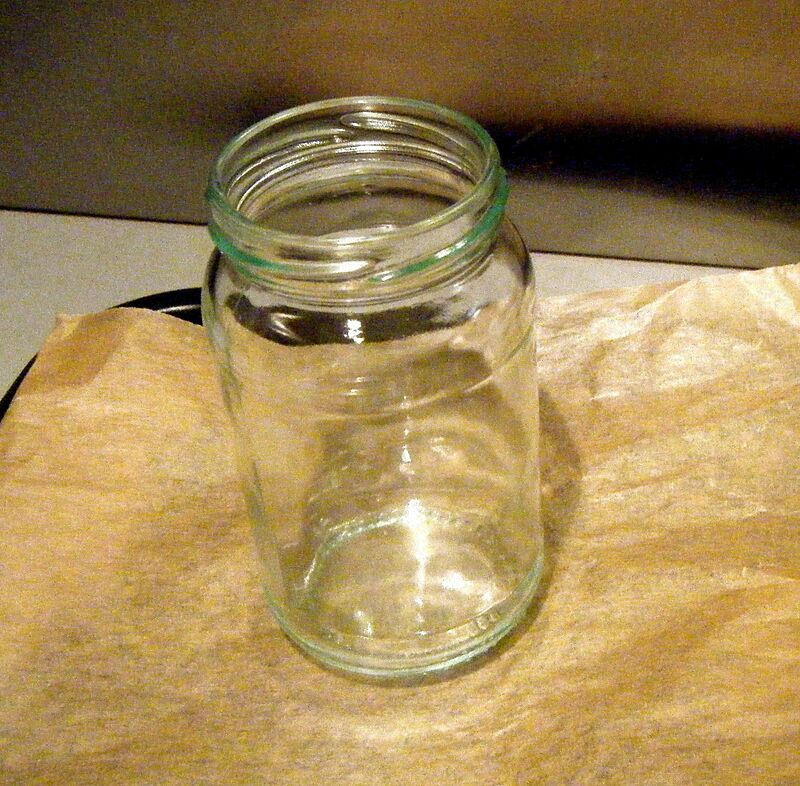 Wash the jar in warm water (with washing up liquid). Pop into the over (120C – 140C) for around 10 minutes until dry. 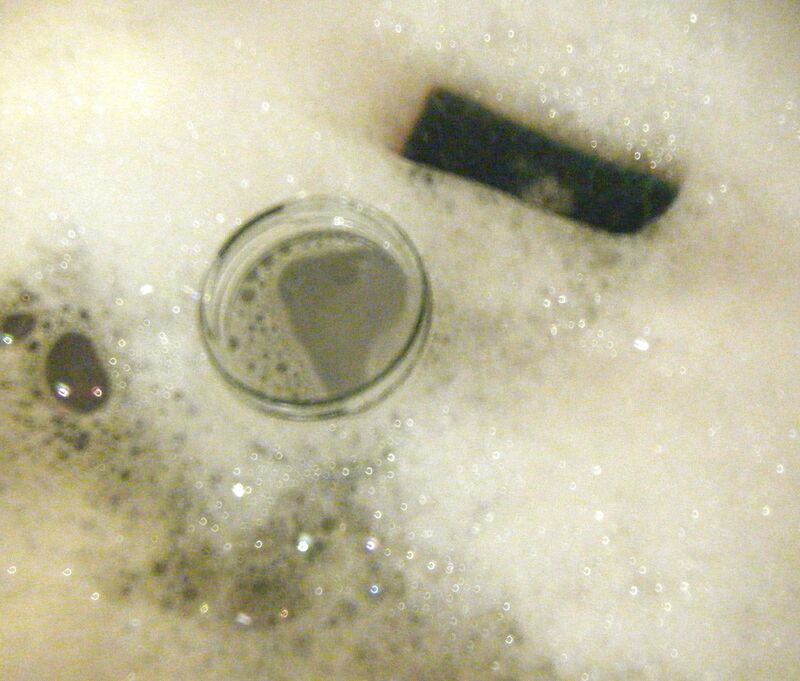 The lid can be left in very hot/boiling water before drying it thoroughly. Fill and seal the jar whilst it is still warm. So time to make your jam. Personally, I don’t like my jam to have too many lumps so I always half or quarter each strawberry to make sure they aren’t too big. Pop the chopped strawberries into your pan with the lemon juice and warm gently for a few minutes. You’ll have to use a bit of judgment here, you don’t want to cook the strawberries, you just want to soften them. Not all recipes call for this step so I don’t think it is strictly necessary but it was in the one I first used so I still do this. 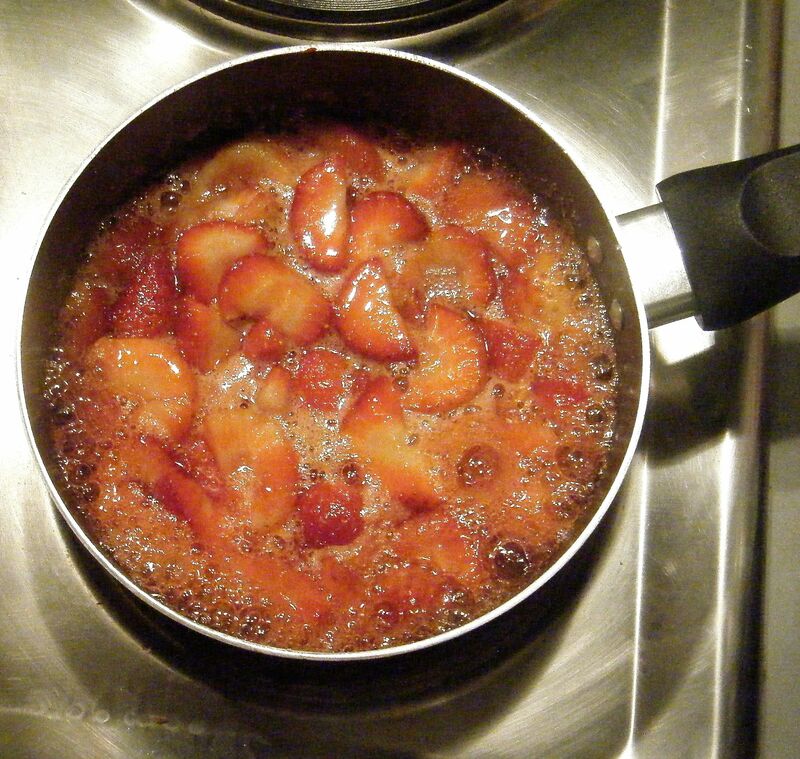 Once the strawberries have softened add the sugar and stir together. Keeping the pan over a low heat, stirring occasionally, until the sugar has dissolved and the liquid runs ‘clear’. 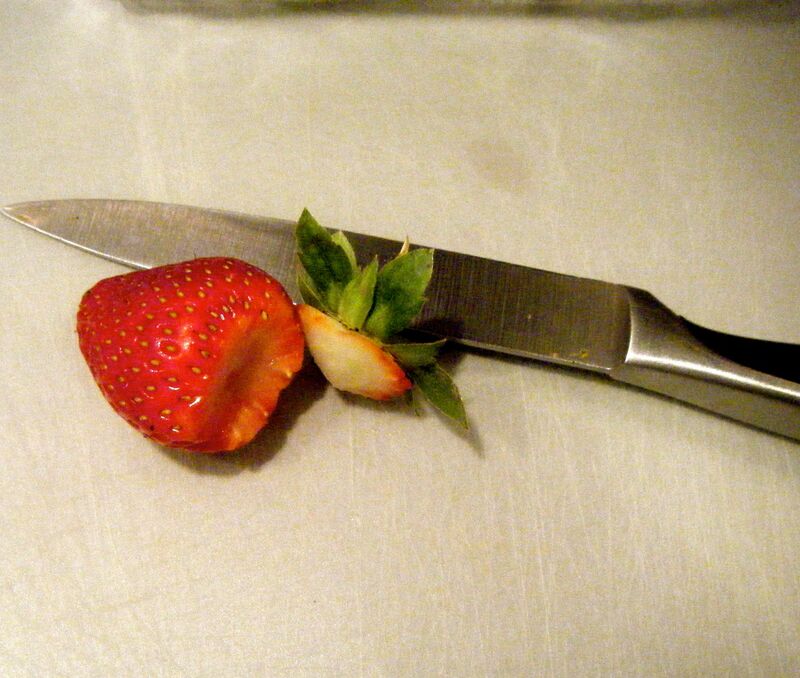 Now, those of you who see the obvious will know that strawberries are red. 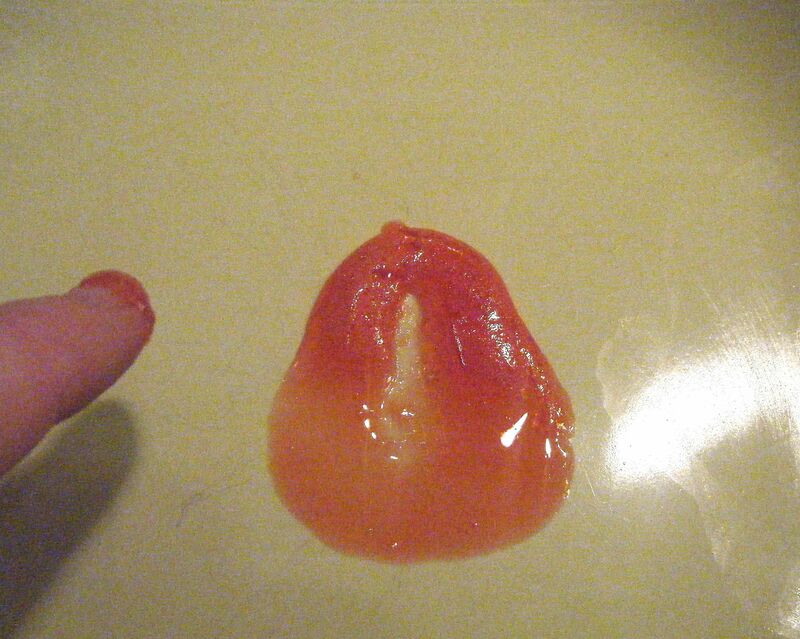 If you put strawberries into a clear liquid, what happens? The liquid turns red. First time I made jam and the instructions referred to the liquid being clear, I actually said to my other half, “but the liquid is red?”. So I made the (perhaps obvious) assumption that ‘clear’ means until the sugar granules have fully dissolved. Once the granules have dissolved turn up the heat slightly. Bring the mix to boiling point and let it boil steadily for around 6 minutes or until it reaches setting point. 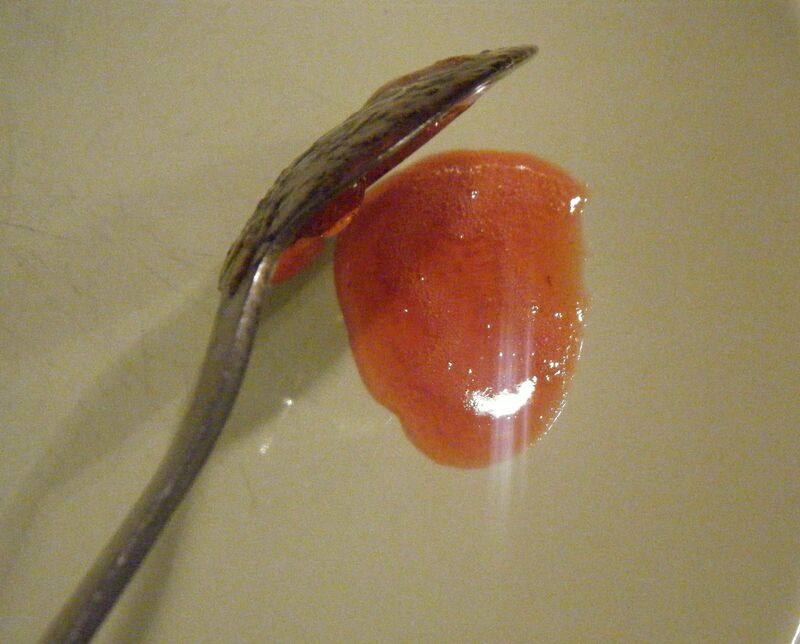 To test the setting point, take a teaspoon and spoon a small amount of the jam onto a plate. Leave this for about a minute and then, using your finger, push the jam slightly. If the jam crinkles and separates without flooding back, you’re there. 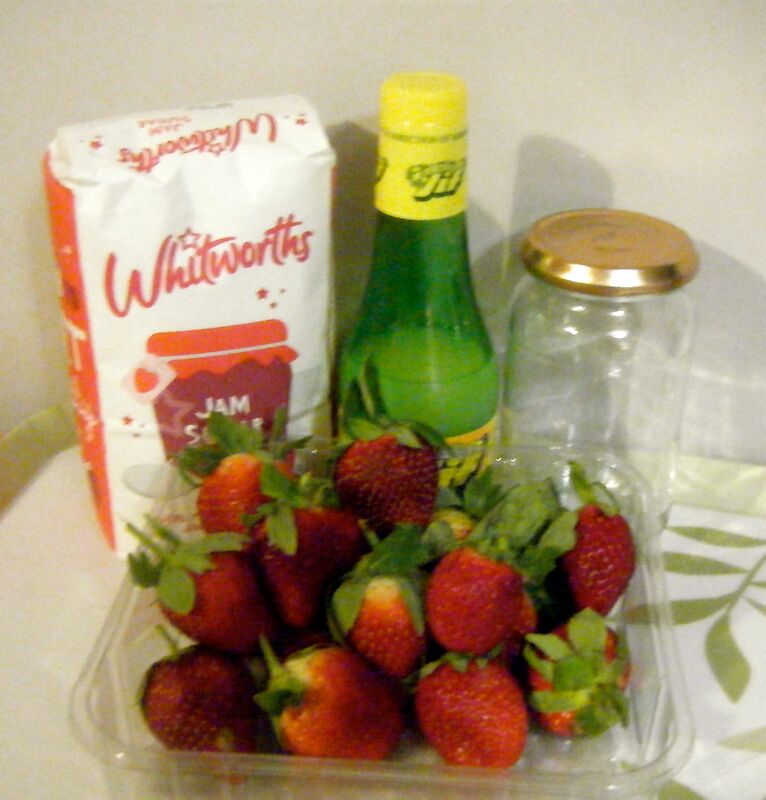 Let the jam cool for about 10 minutes before putting it into your sterilised jar and sealing it. There you have it, homemade strawberry jam. It may not turn out right first time or every time but practice will get you (and me) there one day 🙂 Enjoy! This entry was posted in Useful Extras and tagged Food, Sweets & Treats by MyGastroAdventure. Bookmark the permalink.